4801 Brownes Ferry Road, Charlotte, NC 28269 (#3395095) :: Robert Greene Real Estate, Inc.
Back On Market! Now With Appliances! Home has been Pre-Inspected. 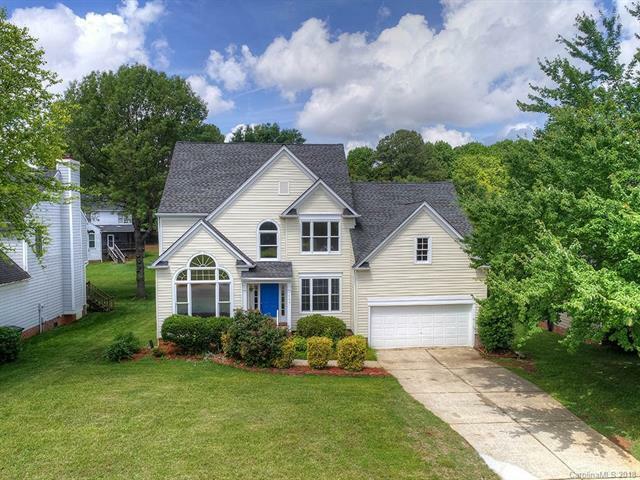 Come see this LOVELY 5BR North Charlotte Home! LOW HOA. Nice Lot. New Vinyl Siding! Front Family Room features a Charming Bay Window. Beautiful Hardwoods and Tile Work. Updated Kitchen features Granite Countertops and a Lovely Tile Backsplash. Seller Will Issue a Credit for New Appliances. Two Story Great room with a Fireplace and New Windows. Master Suite Down is Spacious with Tray Ceiling and Room for a Sitting Area. Master Bath with Seamless Glass Shower, Garden Tub, Walk-In Closet, and Vanity Space. Bonus Room Upstairs! Two Car Garage. Awesome Back Deck!